The hot summer months in Texas wreak havoc on white-tailed deer. As natural food sources are low, they will be looking for supplemental feed sources wherever they can be found. 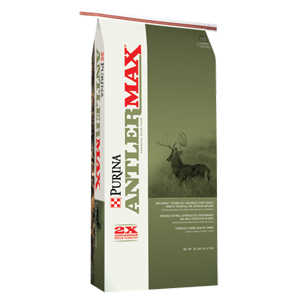 This is antler growth season and deer need high quality nutrition in order for maximum antler growth. This entry was posted on Friday, July 13th, 2018 at 9:10 pm	and is filed under News & Updates. You can follow any responses to this entry through the RSS 2.0 feed. Both comments and pings are currently closed.